The Temple of Artemis, one of the 7 Ancient Wonders of the World was built up around the city of Ephesus (located in modern day Turkey). The temple was created to honor the Olympian goddess Artemis, twin sister of Apollo and daughter of Zeus. Artemis is the goddess of the hunt - regarded as the Huntsman-in-chief to the gods. She was also considered to be the goddess of the moon – an acknowledgement which was first credited to the Titan, Selene. The Greek goddess Artemis is often depicted in sculptural images with bow and arrows in tow. However, the statue of Artemis found inside the temple does not look similar to the traditional depiction of the Greek goddess. This then gives light to the idea that the Artemis worshipped at Ephesus is a distinctive one. Unlike most of the constructed Olympian gods and goddesses – which were obviously gigantic in size, the statue of Artemis housed at the temple in Ephesus is life-sized. 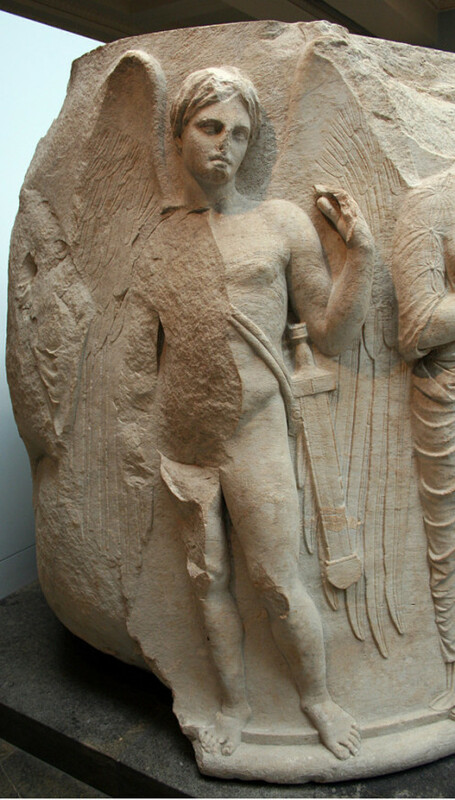 The Artemis of Ephesus is mostly similar to Near-Eastern and Egyptian deities rather than to the Greeks. The said statue was carved of wood, depicting the Ephesian goddess Artemis wearing a mural crown and her neck and collar were overwhelmed with bejeweled necklace and flowers. A garment tightly covered the part of its body just under her waist – giving the impression that its legs were firmly attached. Images of wild beasts (lions, griffins, etc.) occupied the garment of the lower half of its body which is nearly cylindrical in shape. A number of egg-shaped objects bulged out from its chest; many believed that these were breasts, while others confined to the idea that these were testicles of sacrificed bulls. 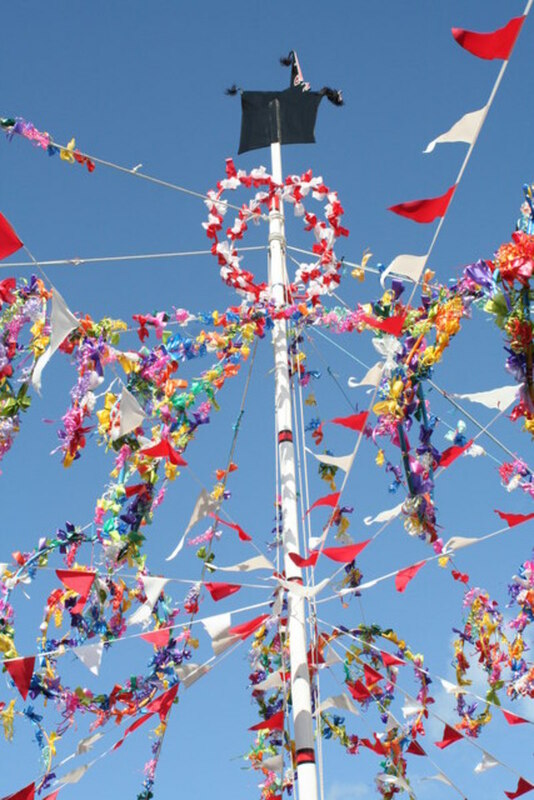 Either of the interpretations settled in the impression that these signify fertility and abundance. 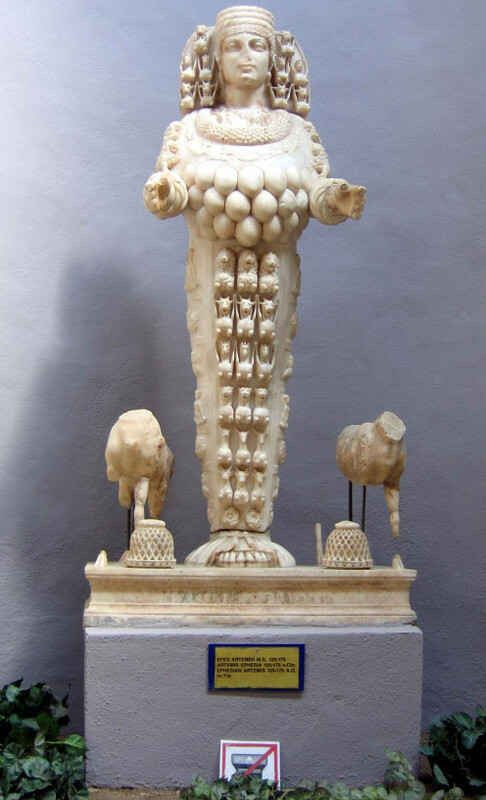 The Artemis of Ephesus appears to be the goddess of fertility. In 356 BC a ravaging fire, set up by a young Ephesian man named Hesrostratus destroyed the temple. He purposely did this in the expense of having himself remembered throughout human history (origin of the phrase “herostratic fame”). The citizens who were so furious about the terrible happening tortured Herostratus to death. By then, anyone who mentioned or spoke of his name would be sentenced to death so as to keep his name not remembered in history. However, Herostratus proved to be successful in achieving his wishful desire when Theopompus later accounted his wickedness. 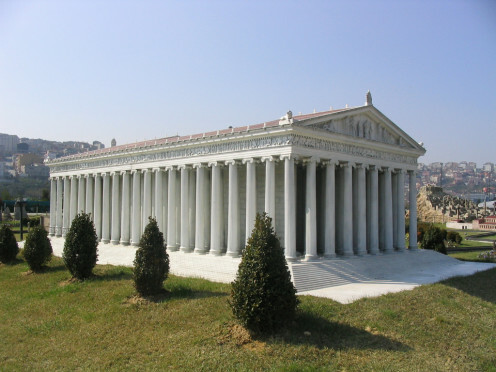 The temple of Artemis at Ephesus had been constructed several times over the course of its existence. First built up around mid-8th century BC, the temple was destroyed seven times and each followed a complete restoration – this according to Strabo’s account. However, recent excavation around the site verified that the said temple was at least reconstructed four times. In the 7th century BC, a devastating flood hit the site which resulted to the temple’s destruction. 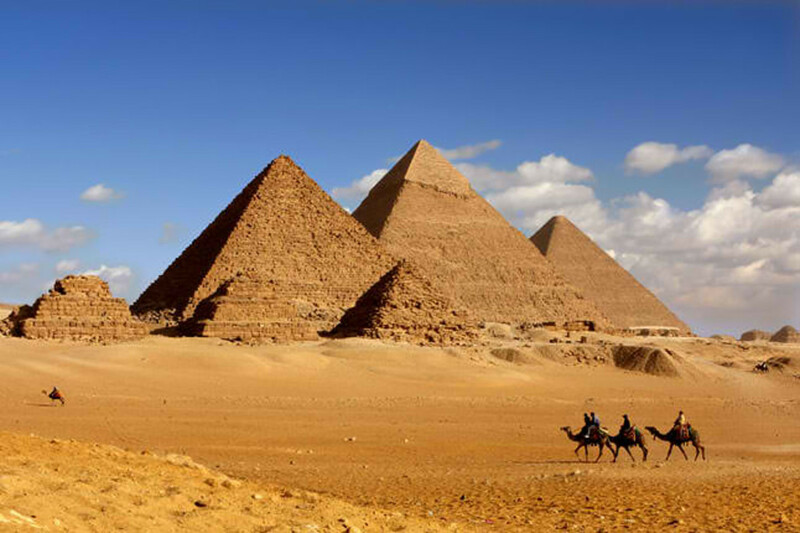 Around 550 BC, the creation of a new temple began – which took 10 years until its completion. This was under the reign of the Lydian King, Croesus who conquered Ephesus and several other neighboring cities. The project was headed by the Cretan architect, Chersiphron assisted by his son Metagenes. The temple measured 46 meters (151 ft.) wide and stretched 115 meters (377 ft.) long. The columns which supported the building extended 13 meters (40 ft.) high above from the floor. Believed to have been destroyed by a war, the temple did not last long either. Archaeologists however suggest that a major flood concurrently hit the site which may have been the actual cause of its wreckage. 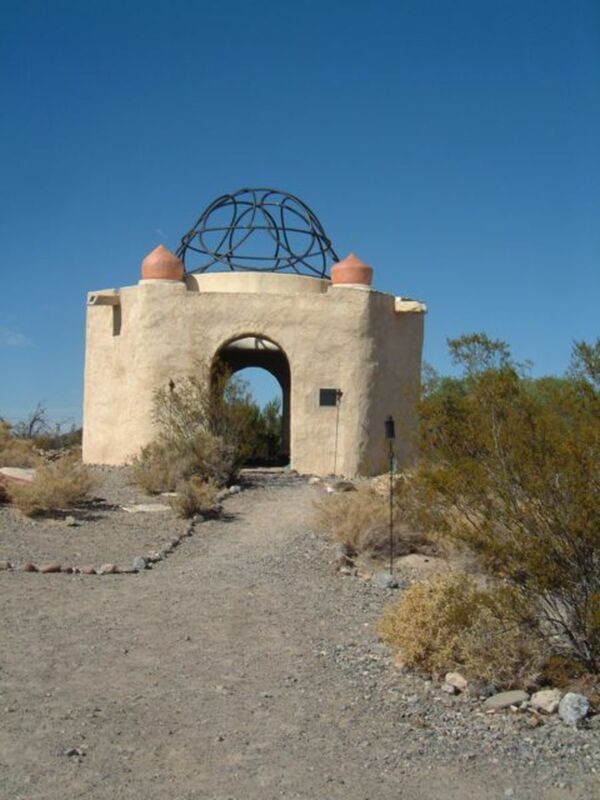 The next temple was designed and constructed by Theodorus. With an area stretching 300 ft. long and 150 ft. wide, the temple was 4 times as large as the previous one. Some 100 stone columns erected which supported the roof. On Pliny’s account, 36 of which were artistically carved. The building of a new temple took place shortly after six years. Headed by the architect Scopas of Paros, the temple was larger than the one it followed. With an area measuring 137 meters (450 ft.) long and 69 meters (225 ft.) wide, the temple was indeed larger than the previous ones. The temple was so tall and huge that it required the construction of a massive roof supported by 127 columns stretched 18 meters (60 ft.) tall. The temple is believed to be the first structure entirely made out from marble. Alexander the Great who visited Ephesus in 333 BC offered to finance the construction of the said temple, in exchange; the temple will be credited under his name. The Ephesians conversely declined the offer. For hundreds of years, the magnificent temple of Artemis was celebrated by many people throughout the known ancient world. It was not until 268 AD that the temple was seriously destroyed by Ostrogoths (an East-Germanic tribe). 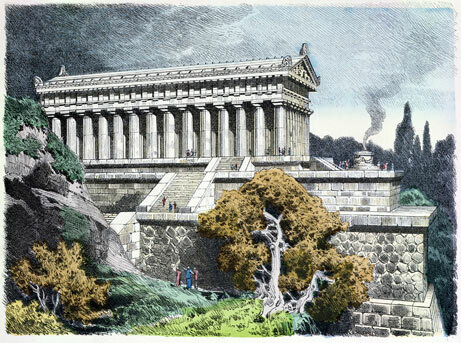 The first expedition was led by John Turtle Wood in 1863, in search for the remains of the great temple of Artemis. The exploration had proven to be uneasy though. One time, Wood was stabbed putting his life near to death. In 1869, Wood’s team finally rediscovered the temple. Some of its remains were recovered and now can be viewed at the British Museum of London, England. The excavation continued for five years. 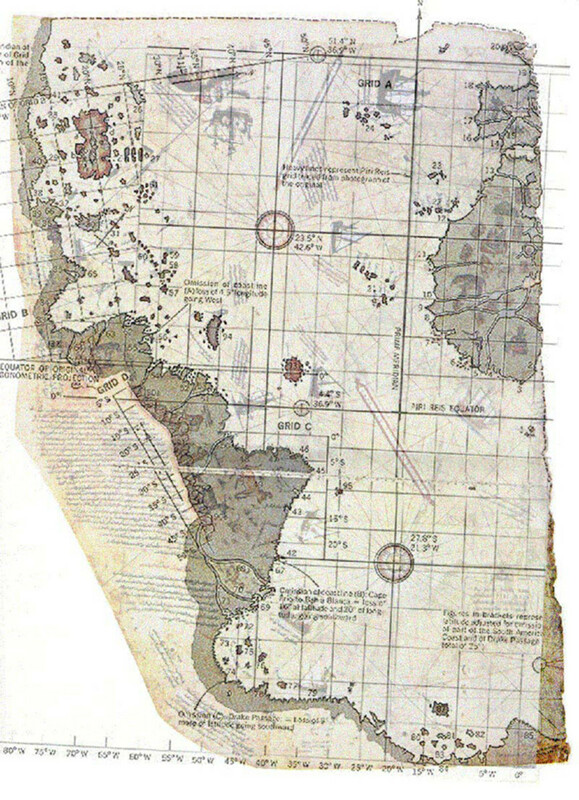 Several archaeological finds were then unearthed from further excavation in 1904-1906. This was headed by David George Hogarth. Today, a single column is erected around the site where the temple was rediscovered. Legend has it that Alexander (of Macedonia) the Great – the person who almost conquered the whole world – was born on the same day the Temple of Artemis was burned down. Artemis was so preoccupied with Alexander’s birth that she was not able to save her temple. The Amazons once took refuge in Ephesus, hiding away themselves from Heracles – who had been tasked by the deities to cast on them punishment. 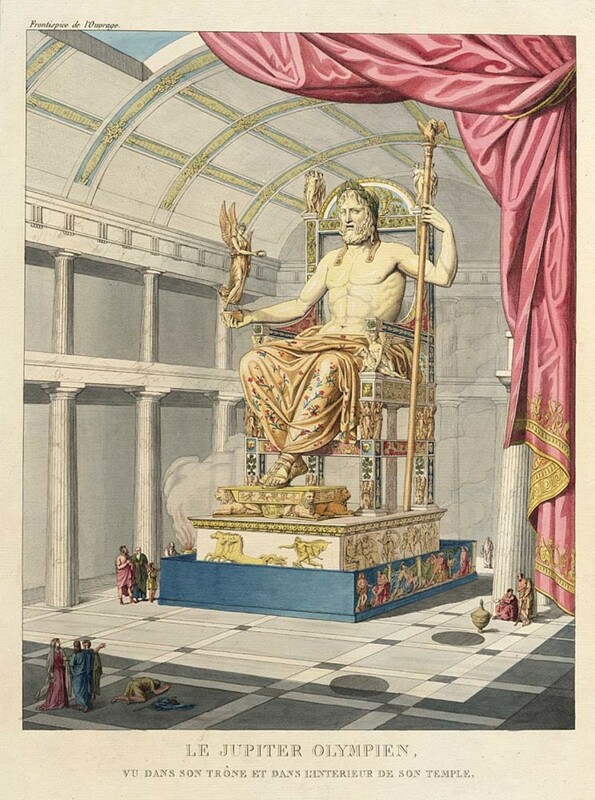 One of the seven ancient wonders of the world - The Colossus of Rhodes, facts, brief history, its history and cause of destruction. One of the seven ancient wonders of the world - Mausoleum at Halicarnassus, its construction and significant past accounts. I'm quite pleased with the infiomatron in this one. TY!